Is Survey Junkie a legit opportunity? You will find out in a few minutes. Do not go to the advertised URL before reading this review. In a few minutes, you will find out the truth about this program. You can skip the full review and read the short summary here. Is Survey Junkie a Real Opportunity? What Do You Think About Survey Junkie? It is a website owned by Blue Media Ventures, Inc that allows you to earn money by sharing your opinions with market research companies. They have started their business more than 10 years ago. 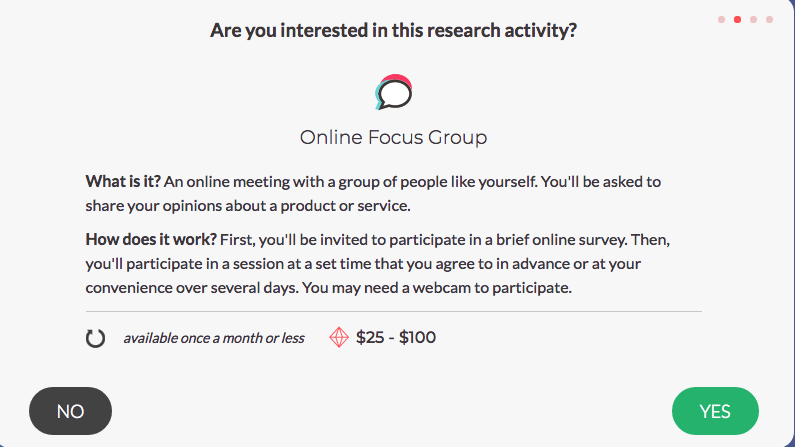 You can earn money and get paid by doing online surveys using their platform. Their service is limited to residents of the United States, United Kingdom, Australia, and Canada. If you are older than 18 and living in one of these countries, you can create an account. It is free and you don’t need your credit card for it. 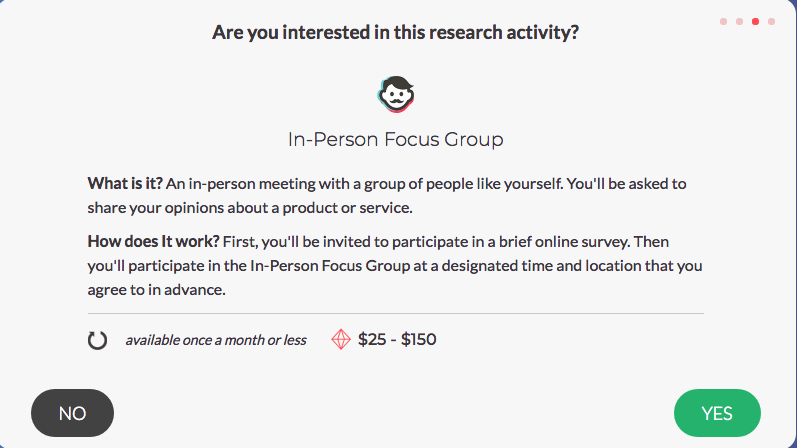 Once you create an account, you can start participating in surveys that you are qualified for. Let’s take a look at the member’s area. After you enter your email, a step by step process asks for your zip code, birth date, etc. After completing these steps, your registration is complete and you can access the member’s area. Every 100 points (PTS) equals to $1. 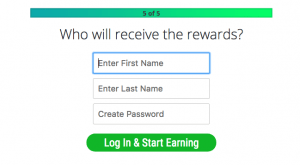 As you complete the surveys you earn PTS points and you can redeem them for cash through PayPal or gift cards when you earn at least 1000 points (PTS) equal to $10. You must create a PayPal account in order to redeem your points. If you earn more than a certain amount of money, they ask for your social security number for tax reporting purposes. As you can see, each activity has a relatively high reward. Each one is only available once a month or less. High reward surveys are rarely available. That’s a rule in the survey world. The help center is very user-friendly with a clean design. If you can’t find the answer to your question, you can ask it from the support team. Survey Junkie is known to have a good customer service and they will probably respond to your email fast. It has been around for a couple of years and there is nothing suspicious regarding their business. They have also improved their system recently which is a good sign. You can’t find a major unsolved complaint about them. 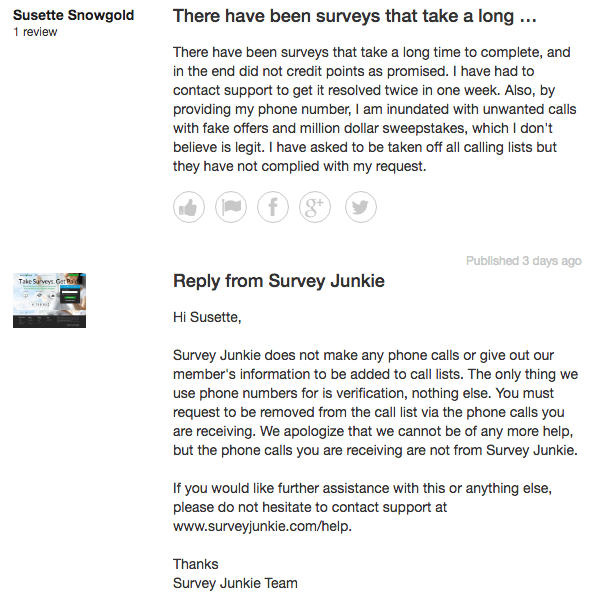 SurveyJunkie is definitely not a scam and it is legit. Yes, it is safe. The only concern is the possibility of misusing your personal information by third-parties. I strongly suggest to create a new email address and use that one for completing surveys. Generally, It’s better to not using your personal information. Sometimes they bombard you with too many offers that can be really annoying. As a general rule, to stay on the safe side, do not share your main email address nor your phone number with survey sites. As you can see, they are explicitly declaring in the terms of service that they may sell their assets totally or partially. This is not very unusual with survey companies. At the end of the day, they are all making a profit from the data they are gathering. But, if you are sensitive about your personal data, you should stay away from them as much as possible. Yes, because it is legit and real. 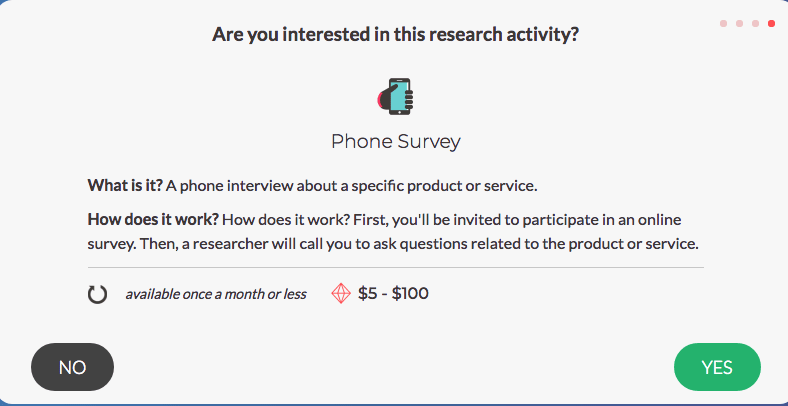 You can earn a few dollars in your spare time using their survey system. No, because your earning opportunity is very limited and you cannot rely on it as a second source of income. The money you can earn by doing online surveys can never replace your main income. You cannot find any hack or magic to boost your rewards and you should spend a lot of time to earn a few dollars each day. 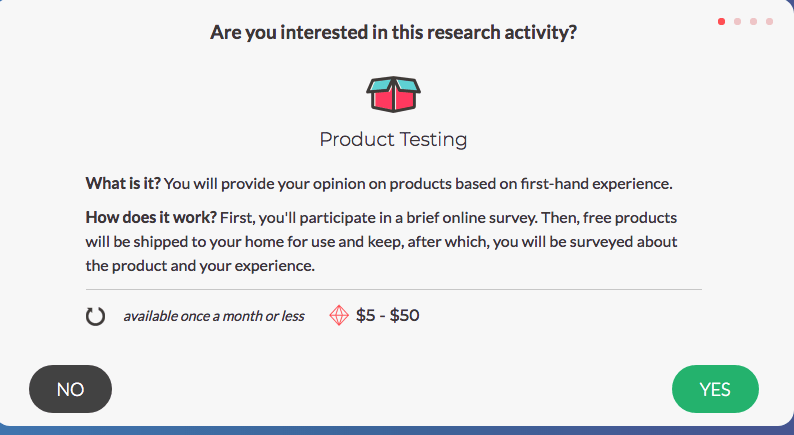 You can usually earn something like 0.5$ to 3$ per survey and each survey takes between 10 to 30 minutes of your time. High-paying surveys are not available most of the time. More than 8,000 Survey Junkie reviews are submitted on TrustPilot. 88% of those reviews are 4-star and 5-star reviews. Survey Junkie was able to create a good buzz in the survey world. Also, at the time of writing this review, I couldn’t find any major complaints about them. 19 complaints are submitted to the Better Business Bureau (BBB) and it seems that all of them have been resolved so far. According to this, you should contact the support and ask them to delete your account. If you do online surveys for while, you will find out that it’s a total waste of time! You can use your time much wiser and invest it to create a long-term business instead of earning tiny rewards. We are living in a time that starting an online business and earning passive income is simpler than ever before. I’m part of an online community which can help you start your own business. It gives you all the tools and supports you need. It is completely free to start. 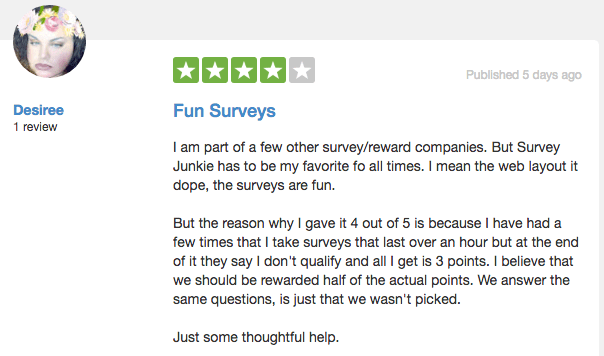 Did you find this Survey Junkie review helpful? Have you ever had an experience with SurveyJunkie or other survey sites? Share your thoughts and stories with us. If you have any questions, ask in the comments! I will happily come back and answer as soon as I can. Share this review with your friends. Let’s make the internet a safer place. Owners: Blue Media Ventures, Inc. I absolutely agree with you Ryan. Most people are looking for a lot of money when they are starting their online journey and after a period of struggling, most of them get disappointed. I think it is necessary to not focus on the money at the beginning but to rewire your brain to think about how to add value. The money will naturally come when you find a way to add value. Well very interesting site, it seems fair and straight, clean ,honest. I do not think I would do surveys because there is no real money to be made. Thank you for this review, the details you provided are great. 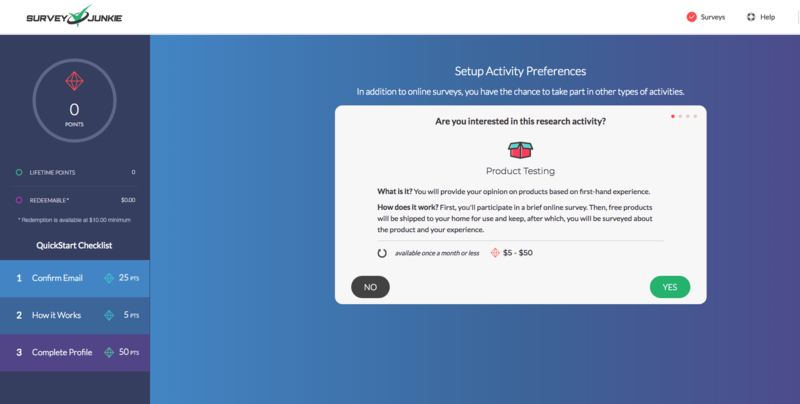 I won’t join SurveyJunkie but for some people, it might be something to try. Thank you for the kind words. I’m glad that you found it helpful. I think you’re right about not doing this. It looks like it would be alright if you were able to make good money off it more often. But, to me, it kind of looks like it might be more a waste of time and effort?? It might be good for if you need a few quick bucks, but long term…. I’m not so sure that would work. I agree. The reward is small and you need to spend a lot of time which does not worth it long-term. I’ve been a member of several survey sites in the past and although they’re legit, I do have an issue with the way they advertise. They all make it seem you can earn lots of money by just completing some surveys. I agree, this kind of advertising is appealing to many people who are desperately trying to find an extra income. However, like you say, these high rewards come in very often and even then, you need to be lucky. For me it was another experience, but I quit, because I was spending too much time, earning practically nothing. That’s what happens most of the time. At first, you find it appealing but because the reward is very small, eventually you become frustrated and quit it. I think it simply does not worth it. Thank you for your review of Survey Junkie. 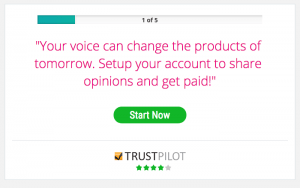 I had actually heard of it before, but had been a little leery of it just because of my experience with some other survey sites, but after reading your review of it and how it isn’t a scam and there is some money limited earning potential, I may just give it a try in the future to earn some extra dollars here and there. I also like there are a lot of positive reviews of Survey Junkie with 88% of them being between 4 and 5 stars as you said. Is it easy to get qualified for a lot of the surveys there? It is a safe website and you can give it a shot if you like but don’t use your main email address. If you complete your profile carefully, you can earn a little extra money. Survey junkie is one of the best survey sites out there and it pays relatively higher amounts compared with its rivals. Yet your earning adds up as you spend more and more time on it. If you invest the same time on creating your own online business, it will pay off in passive income which really worth it.